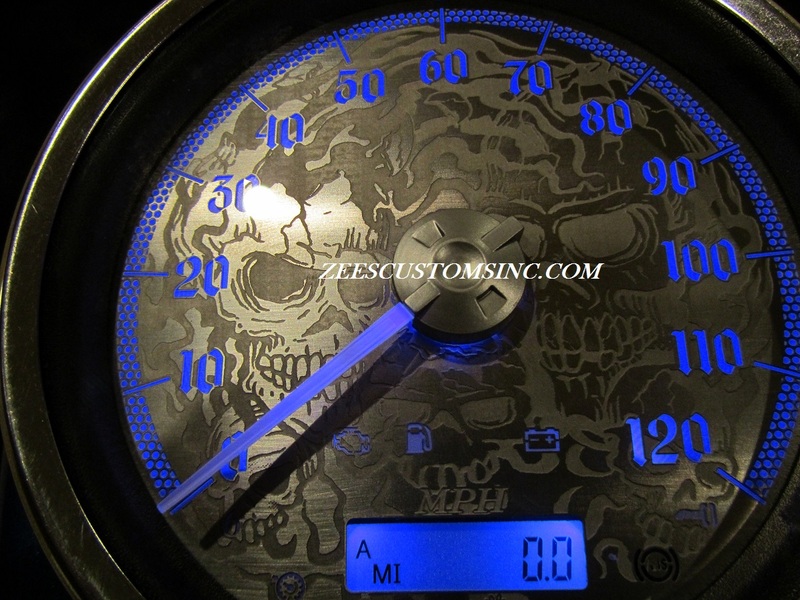 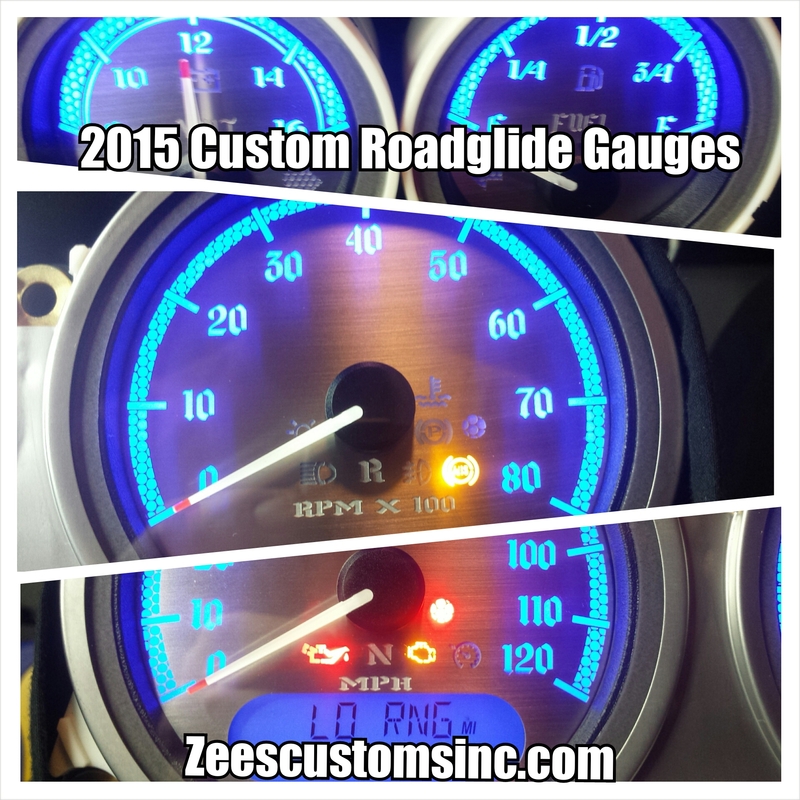 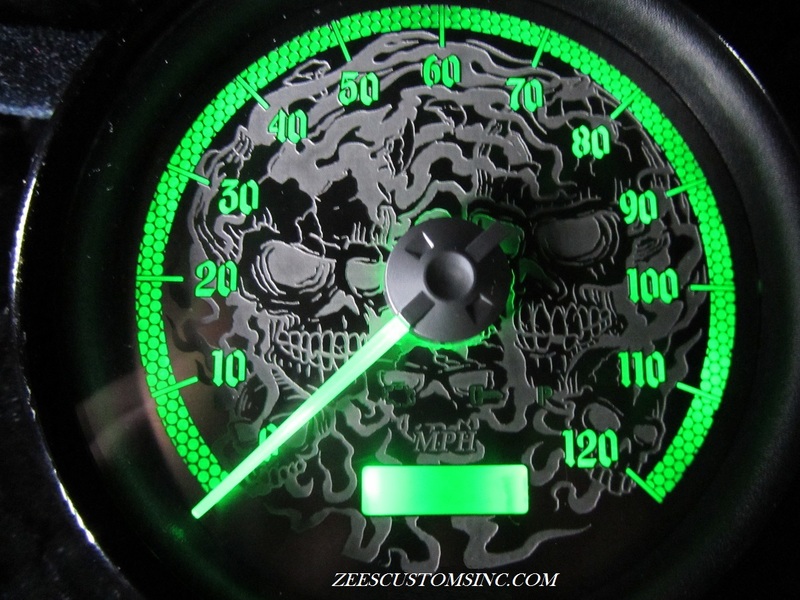 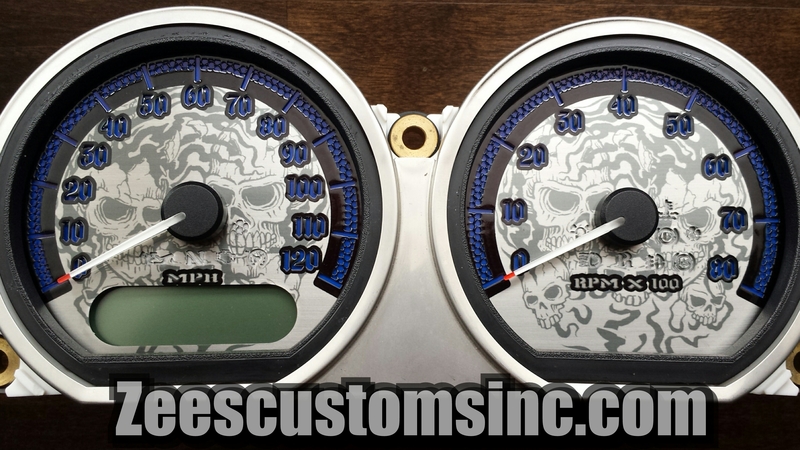 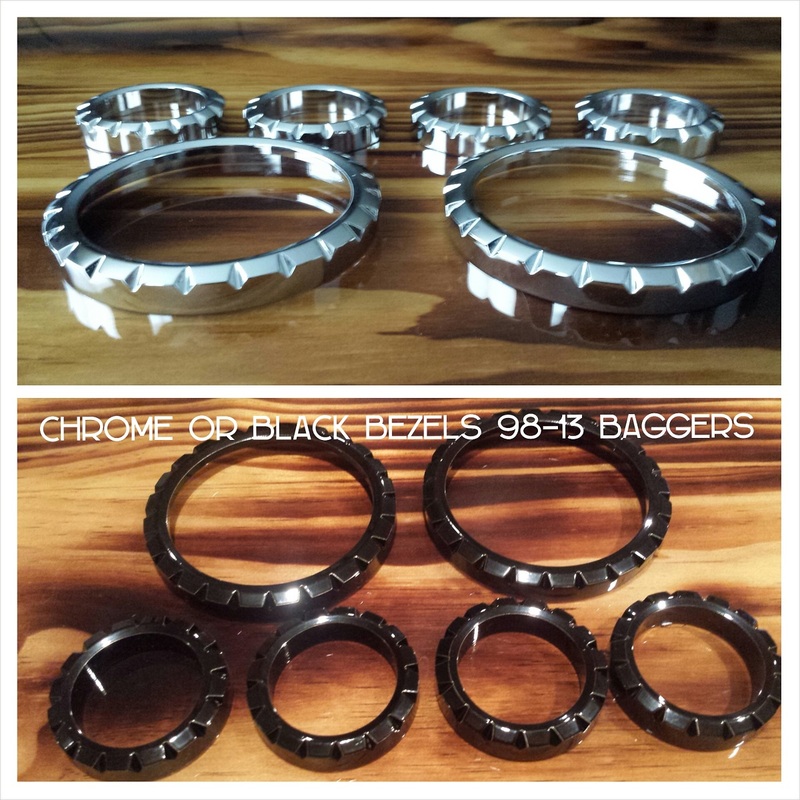 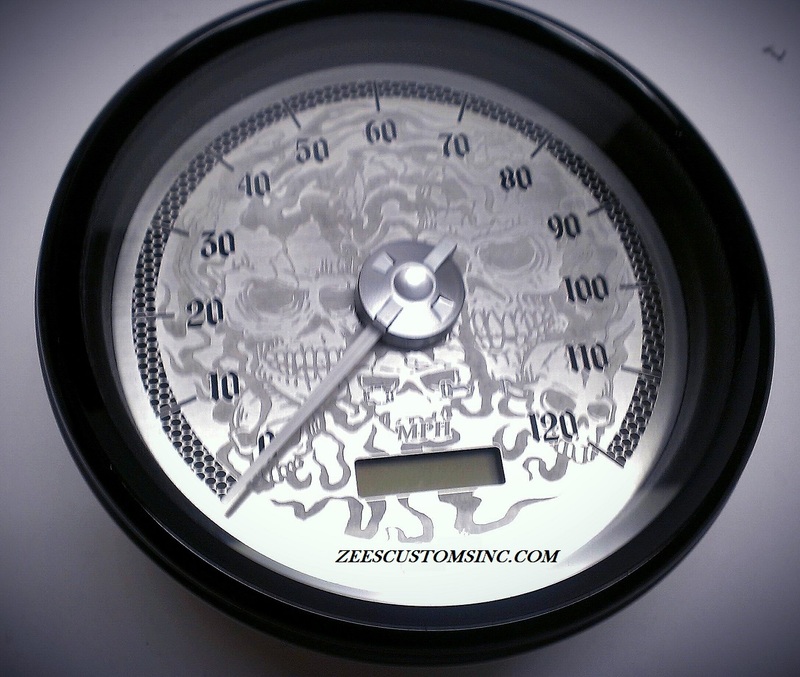 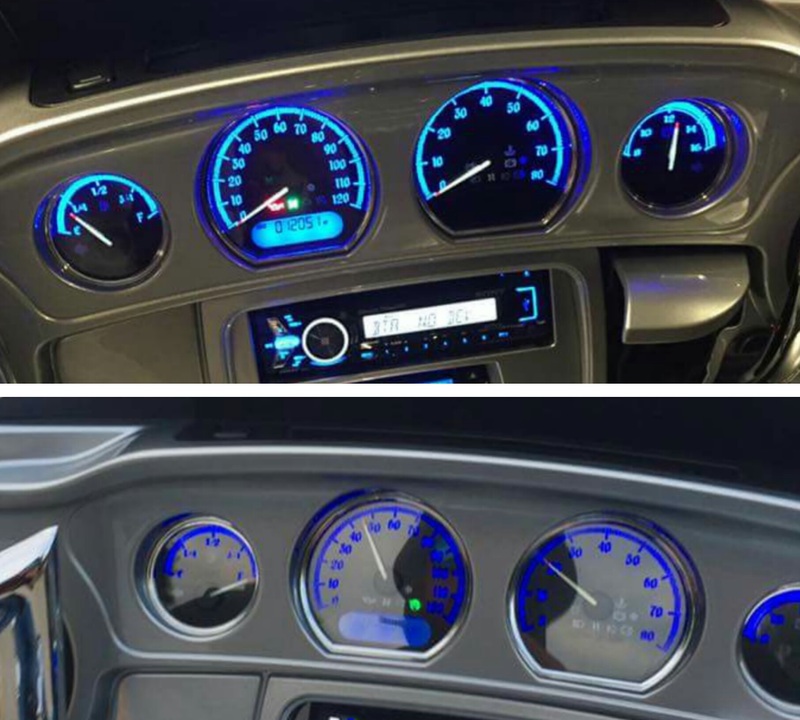 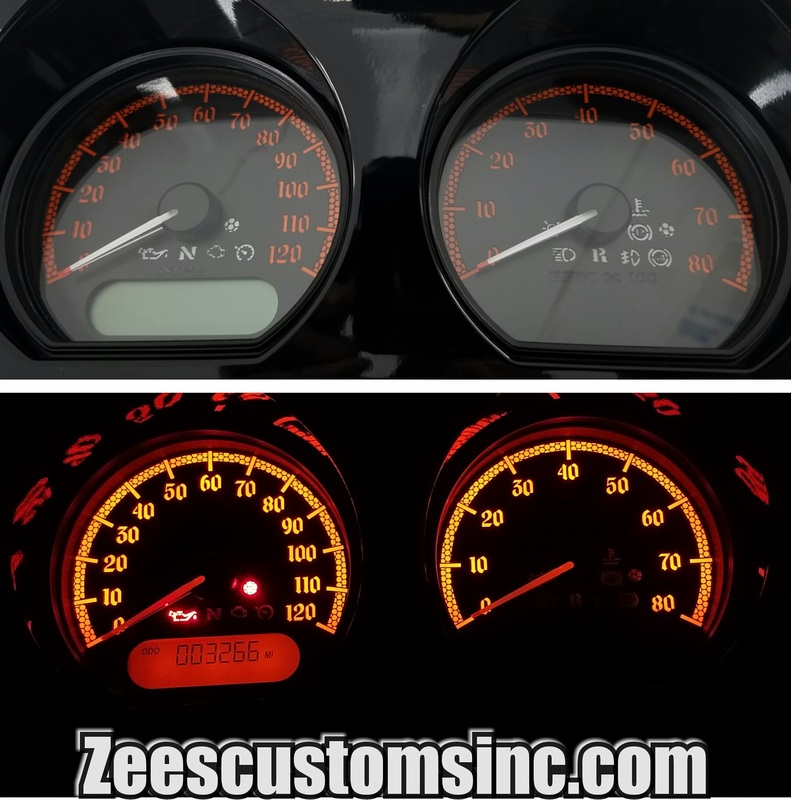 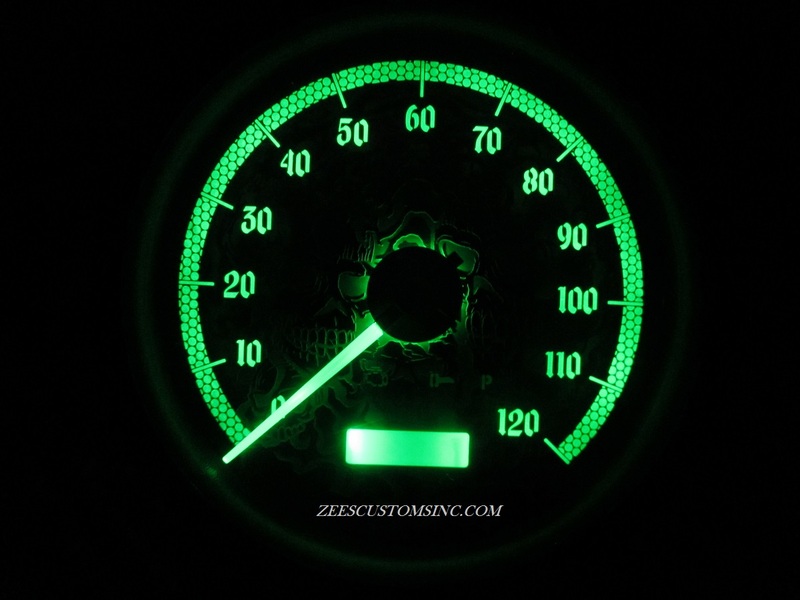 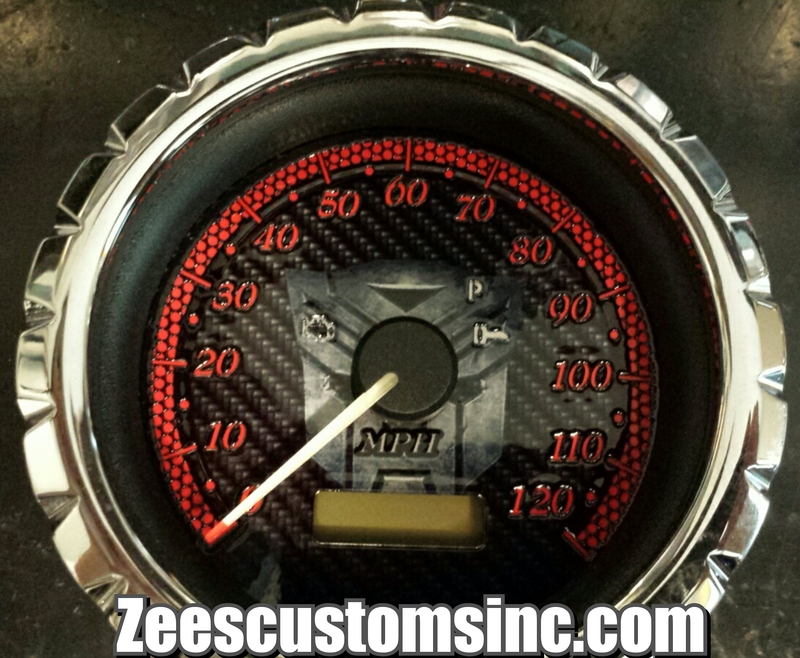 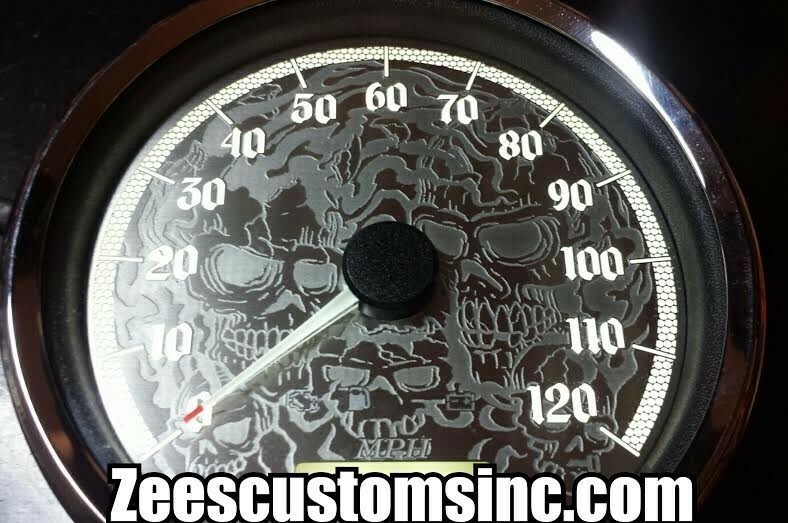 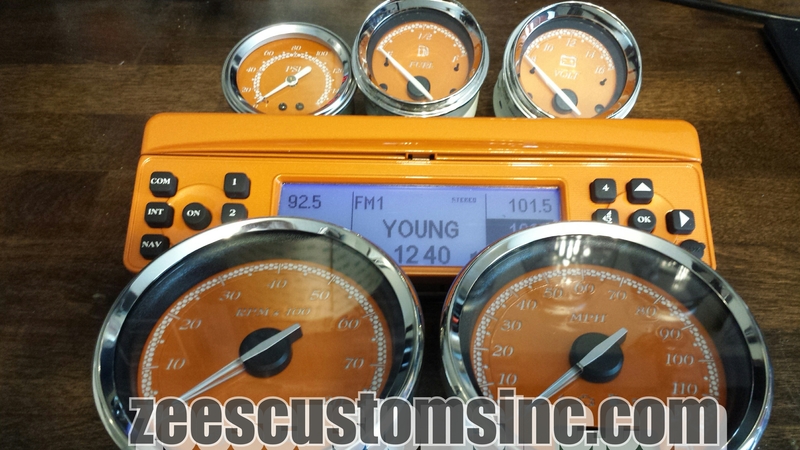 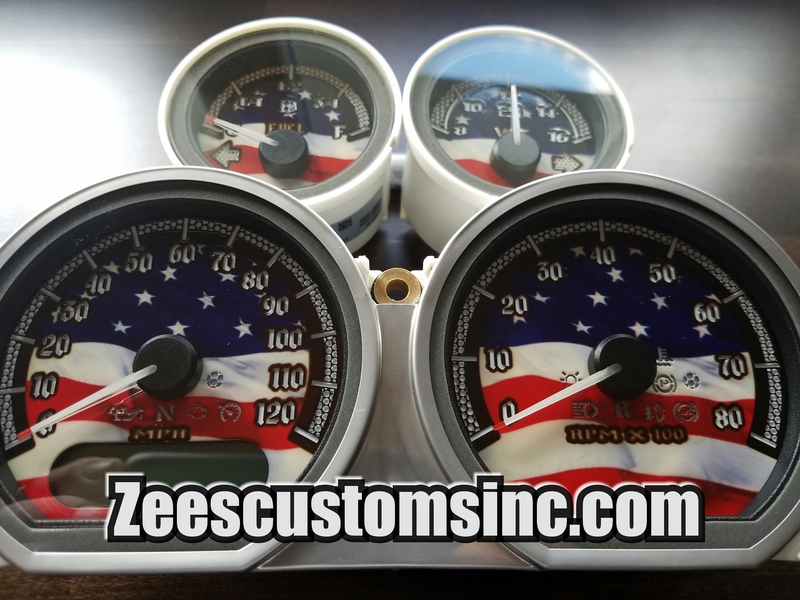 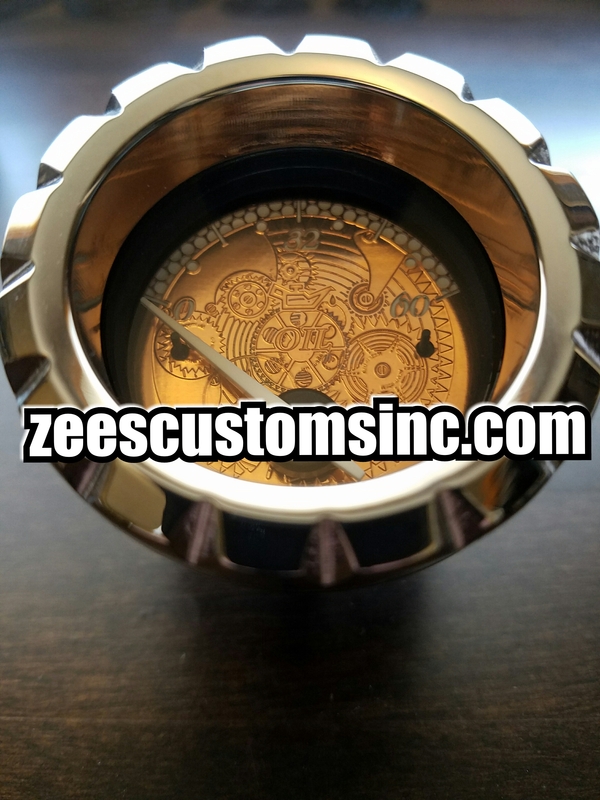 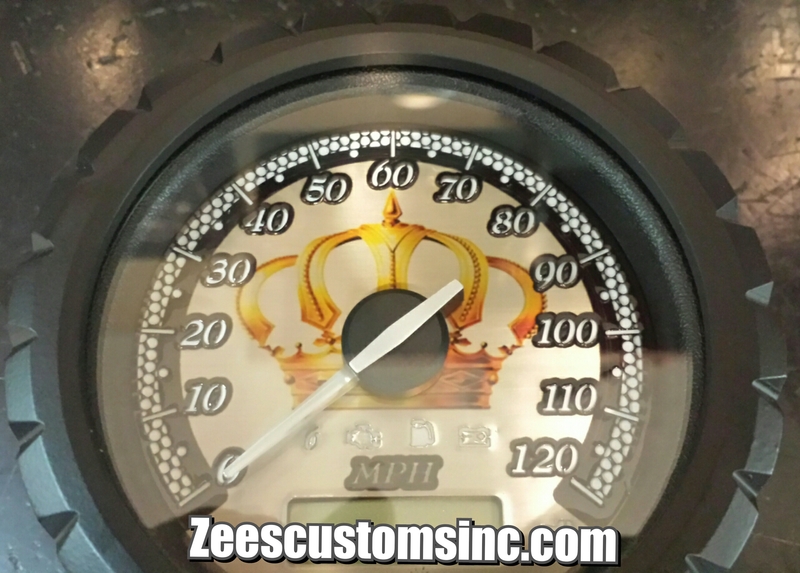 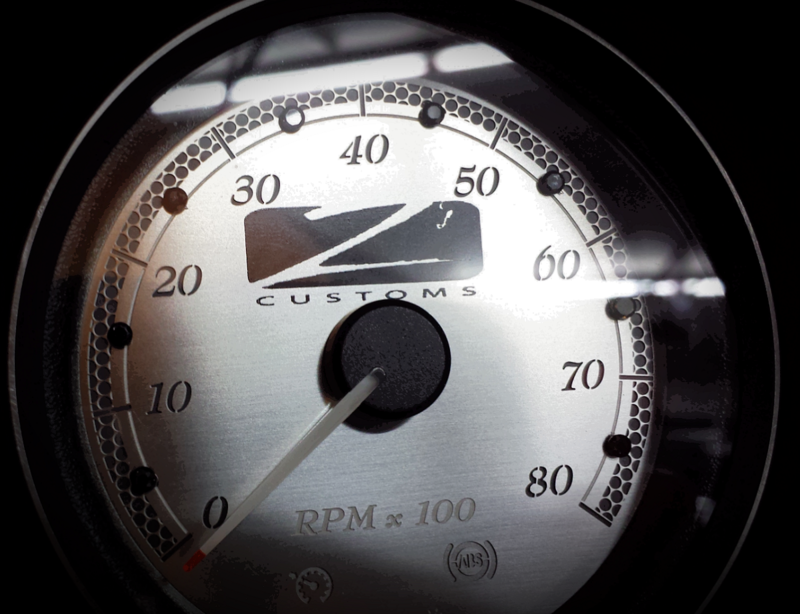 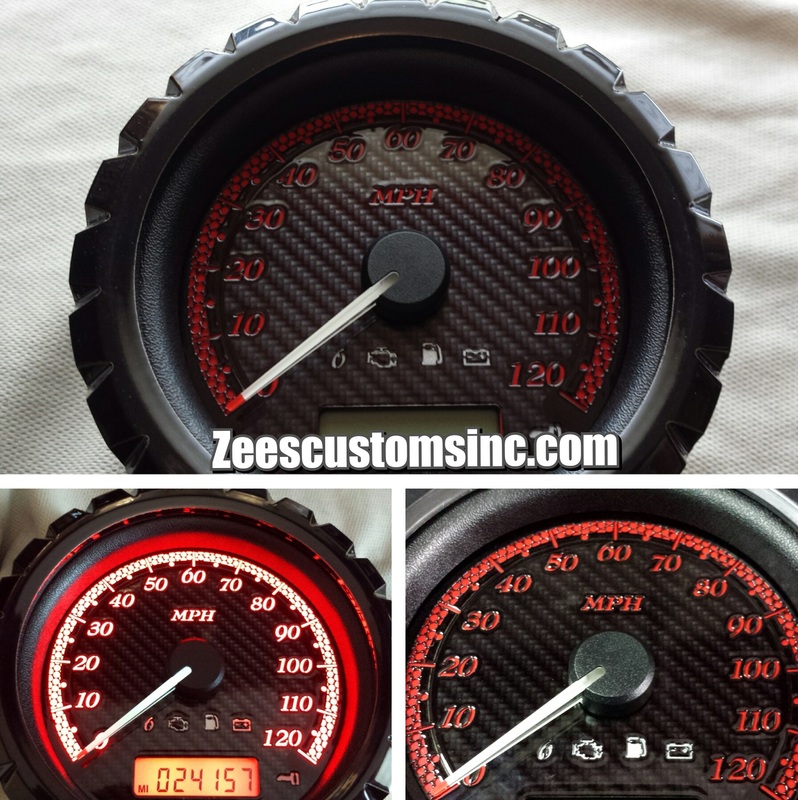 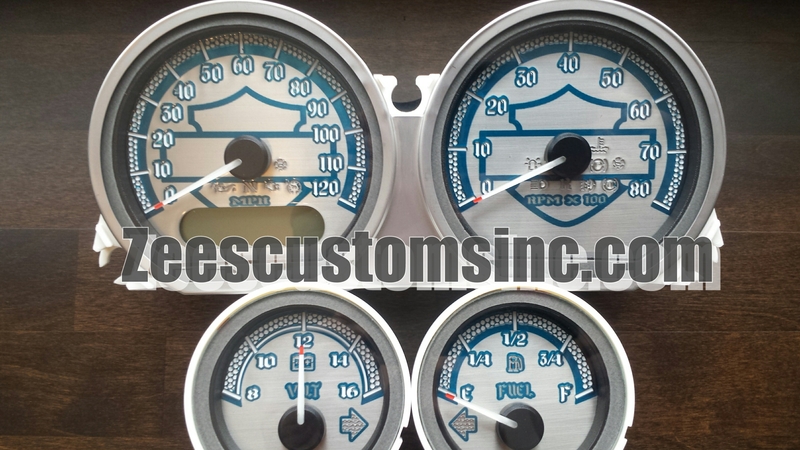 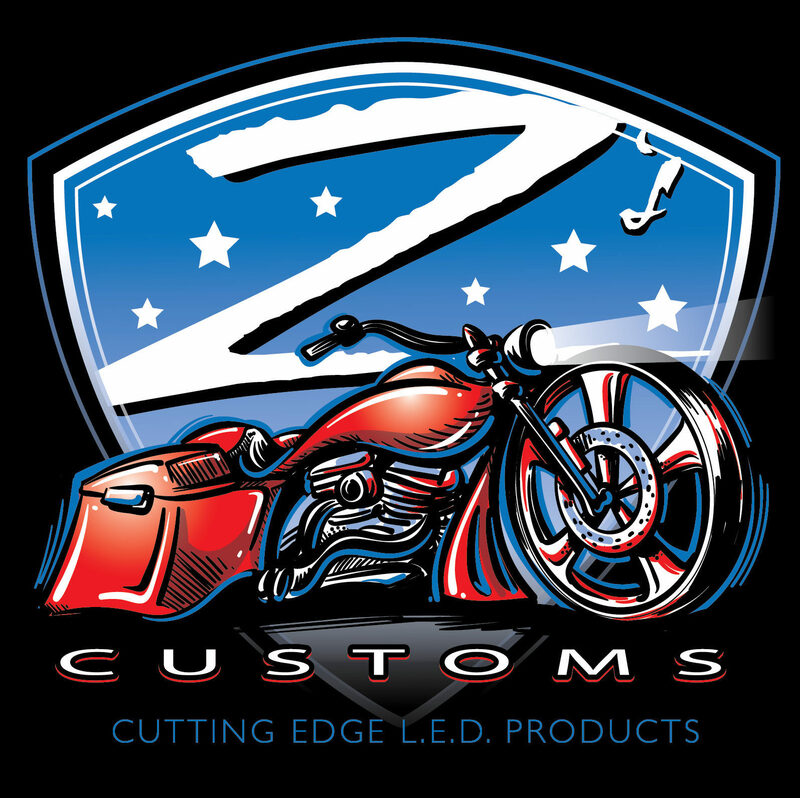 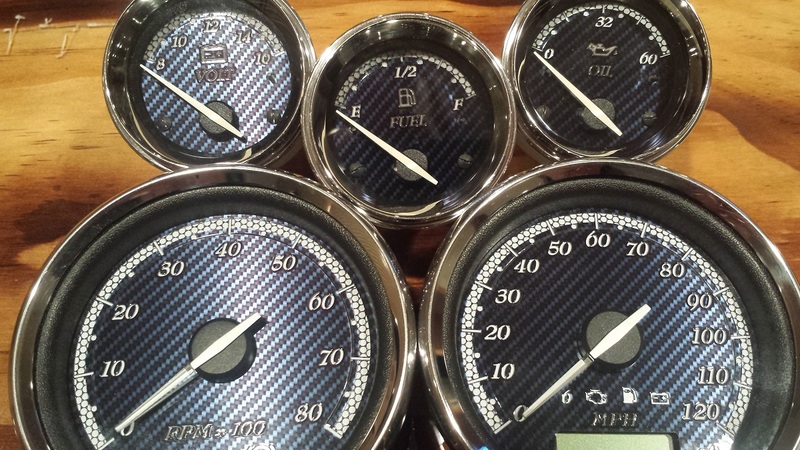 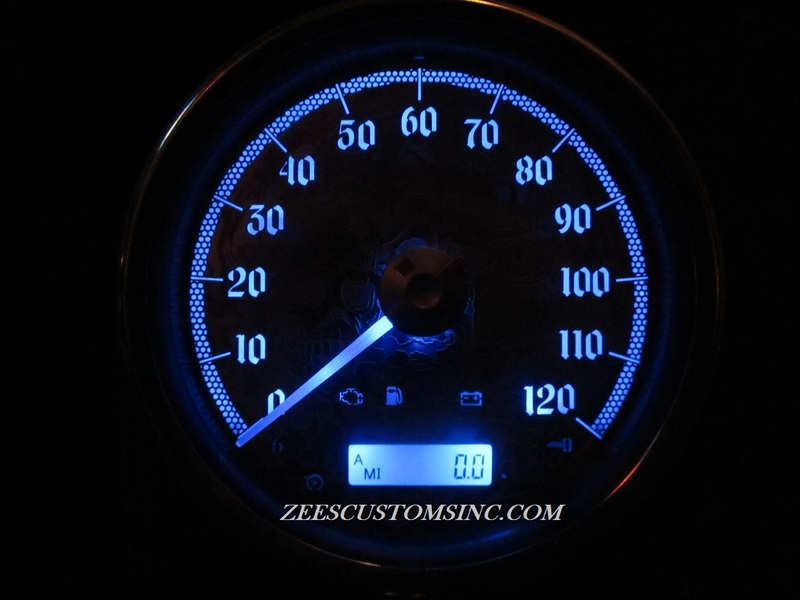 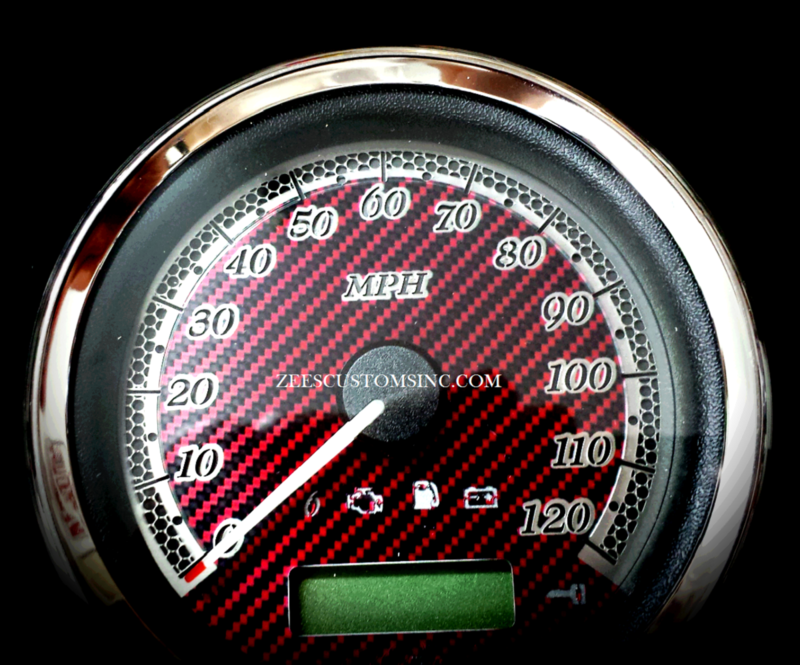 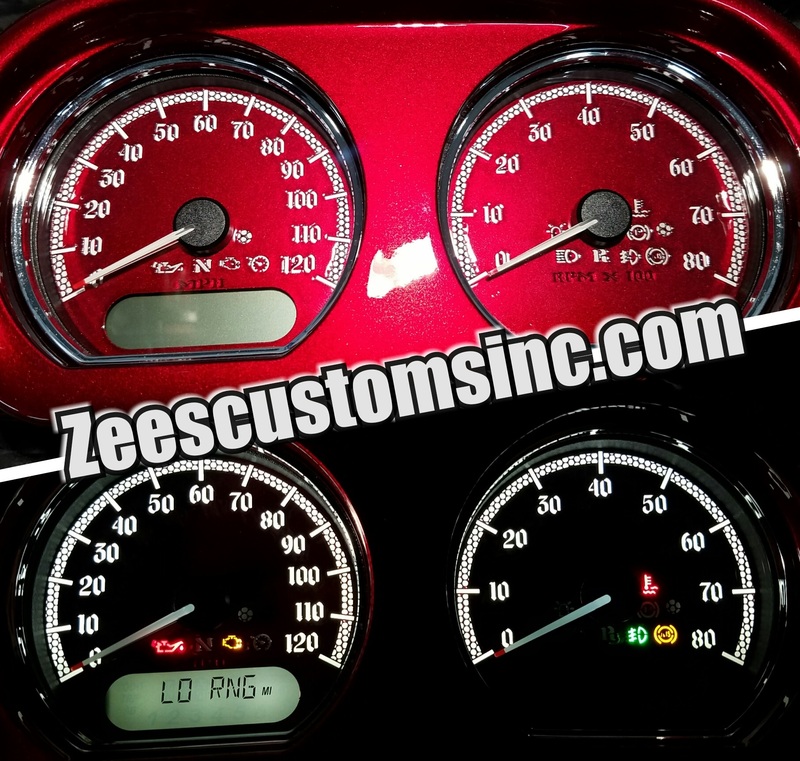 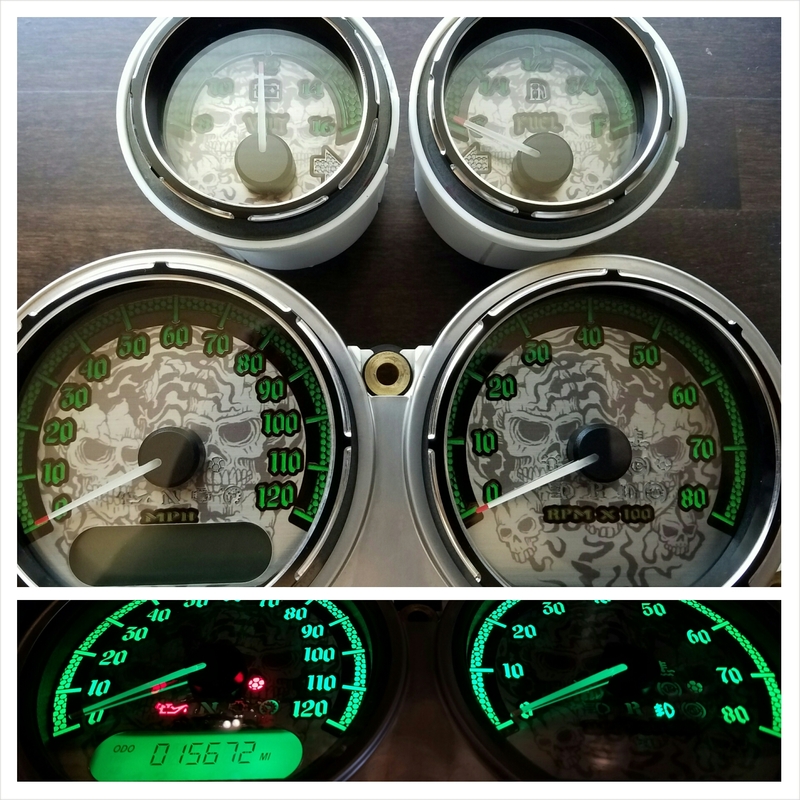 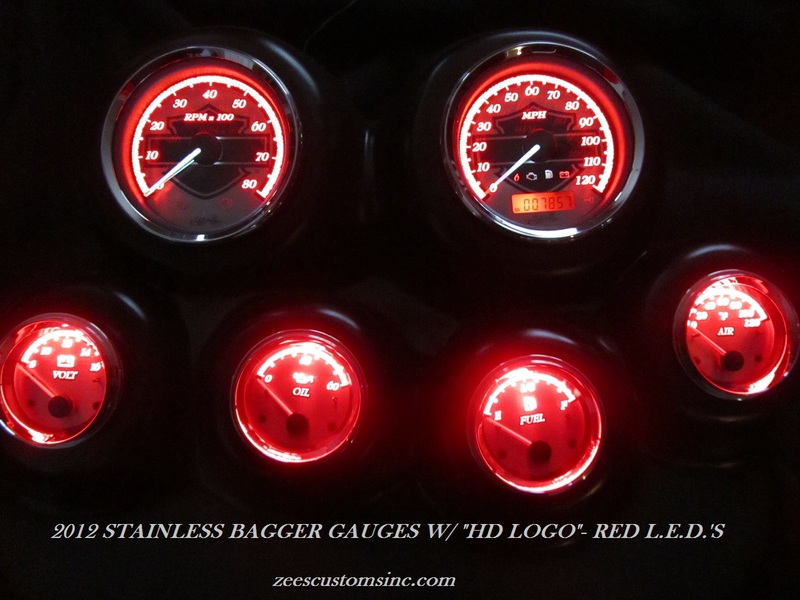 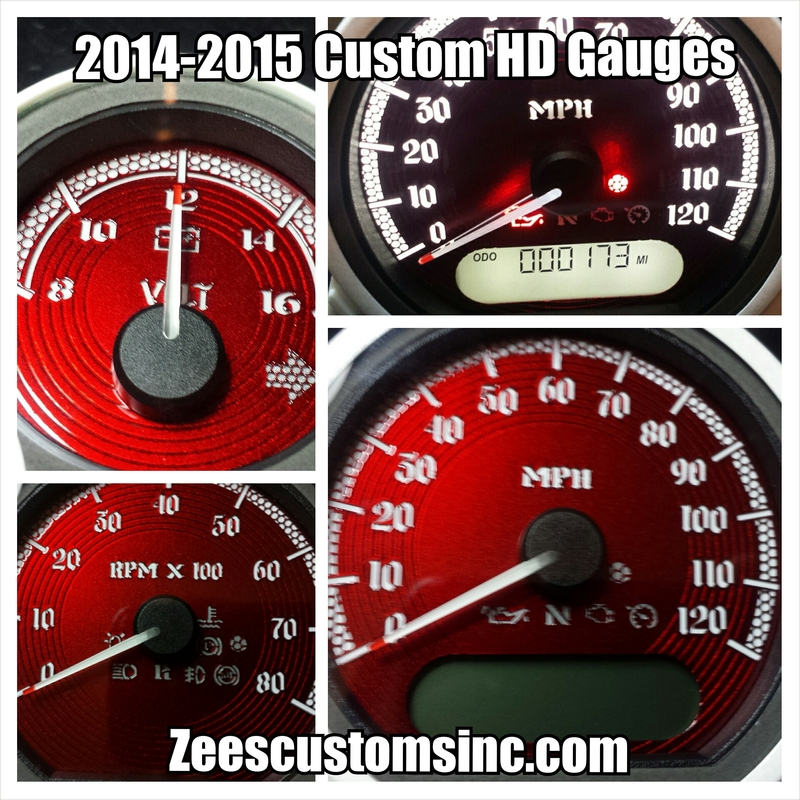 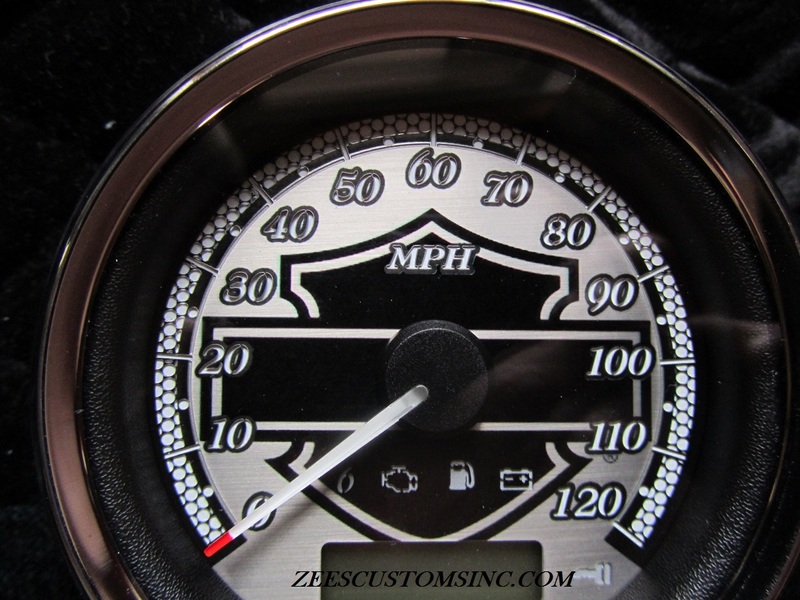 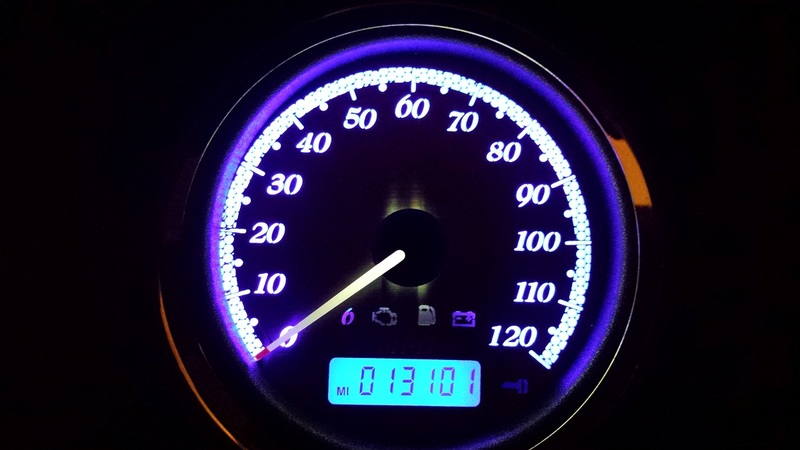 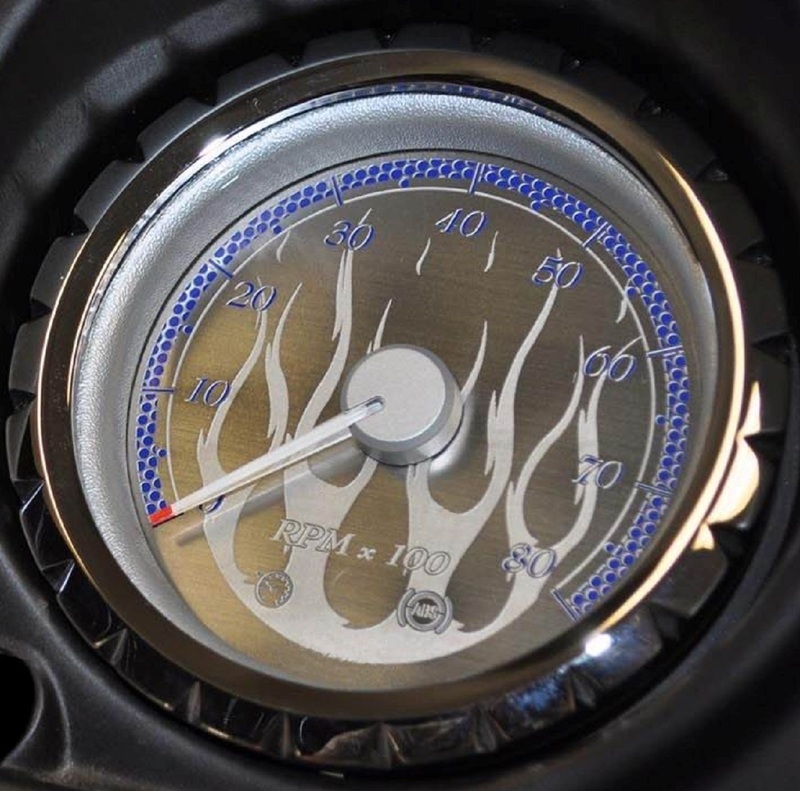 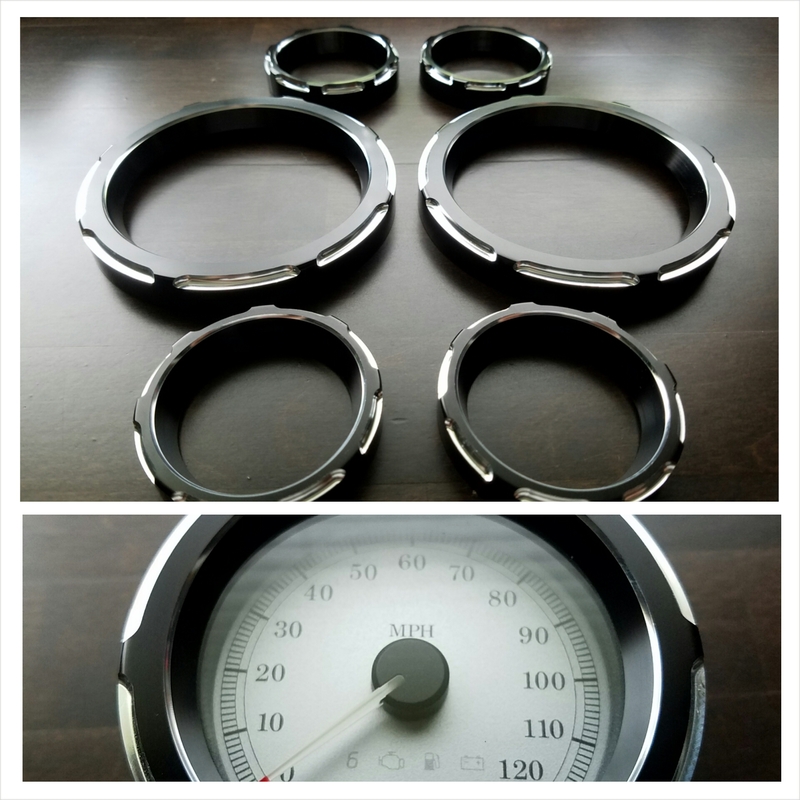 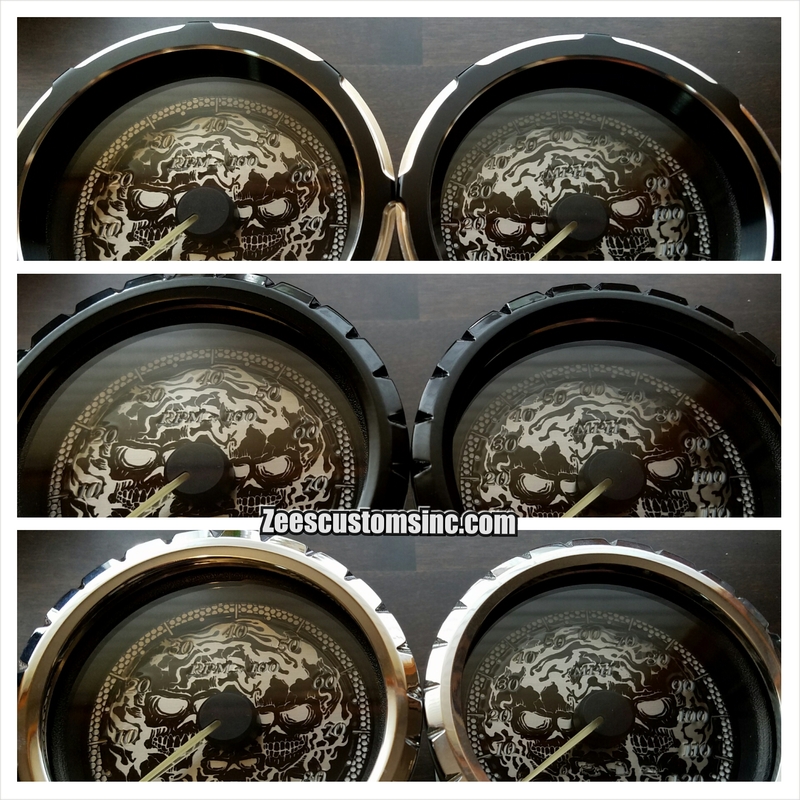 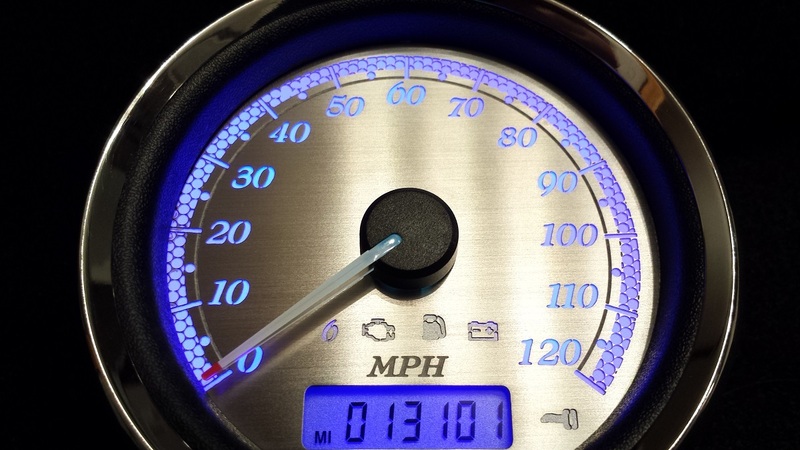 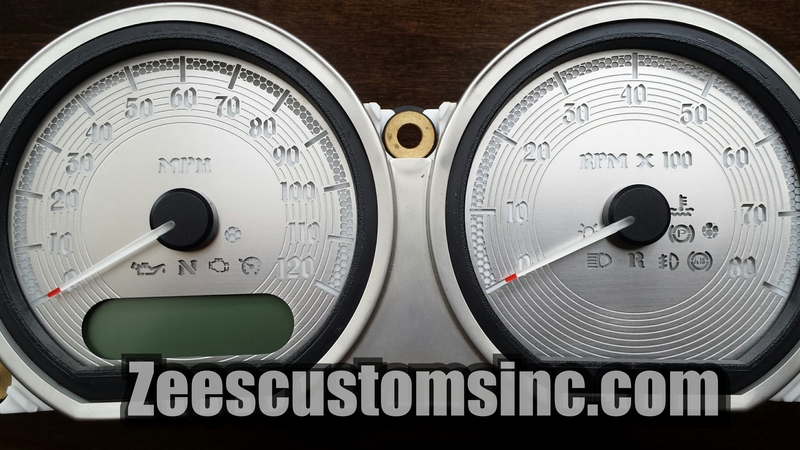 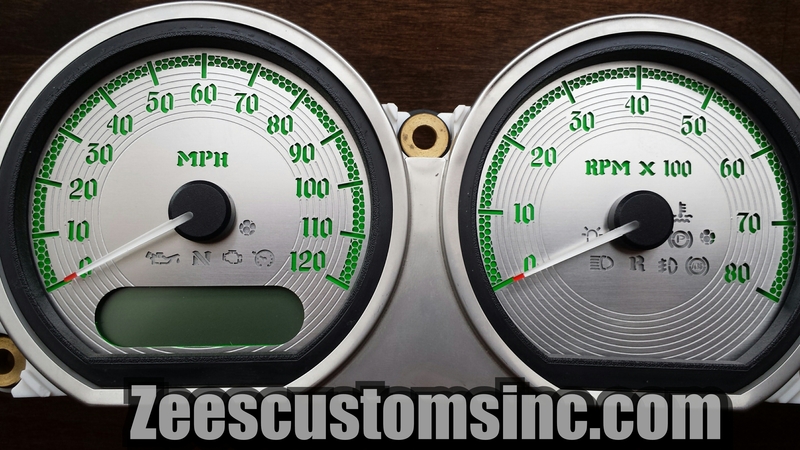 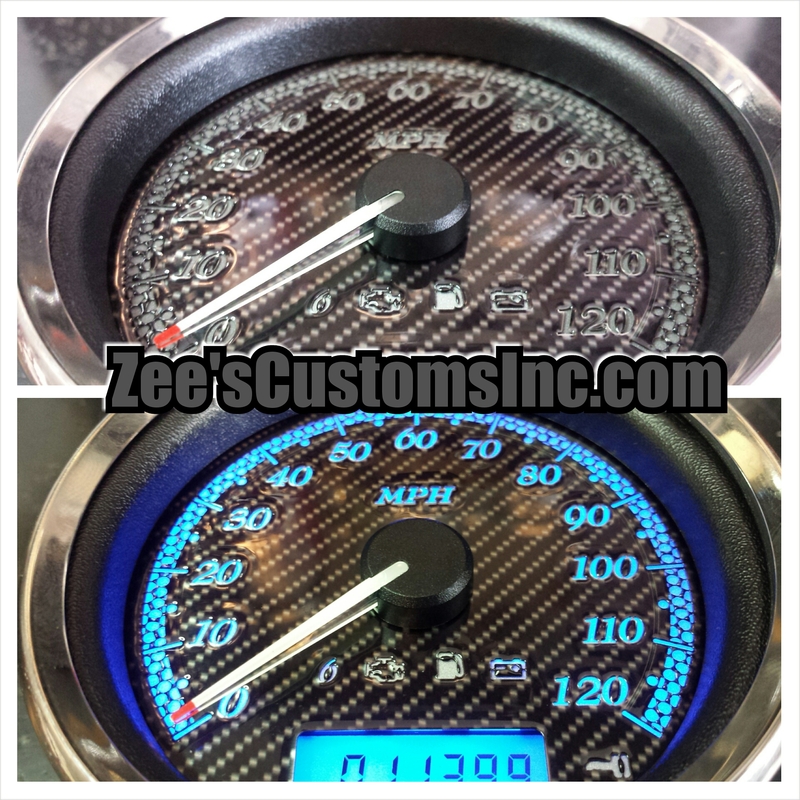 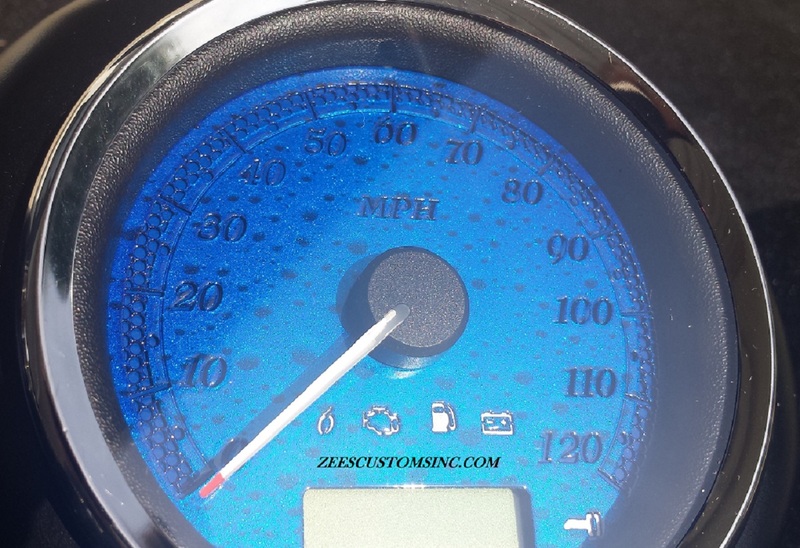 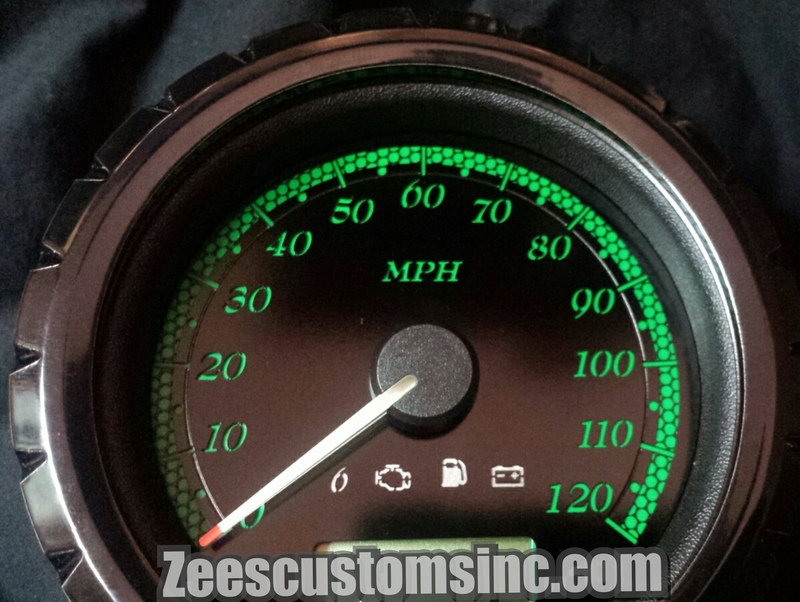 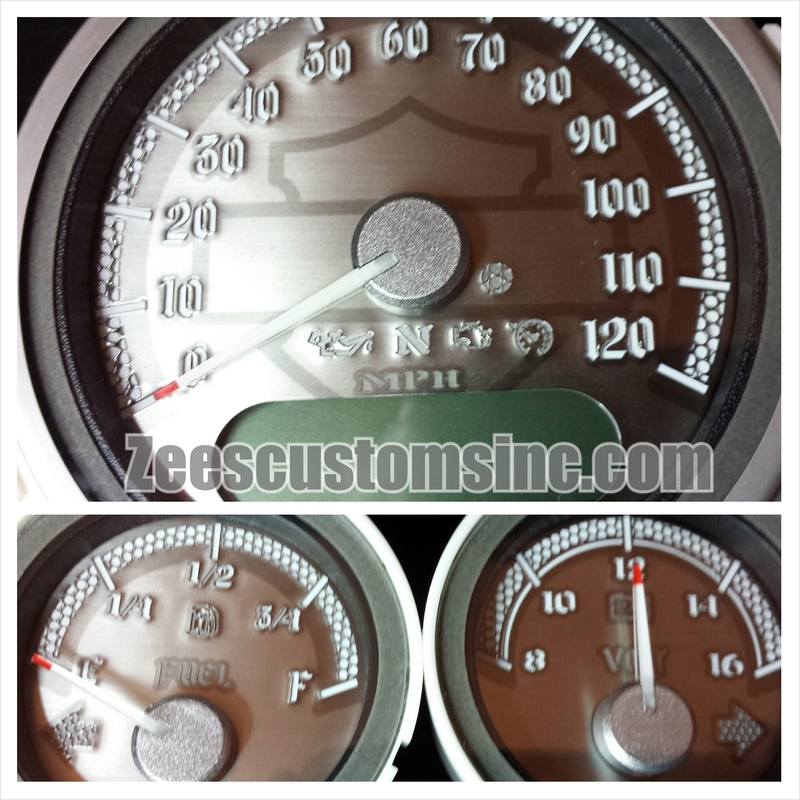 HD Custom Gauges – Zee's Customs Inc.
2012 plain stainless steel with a blue back ground. 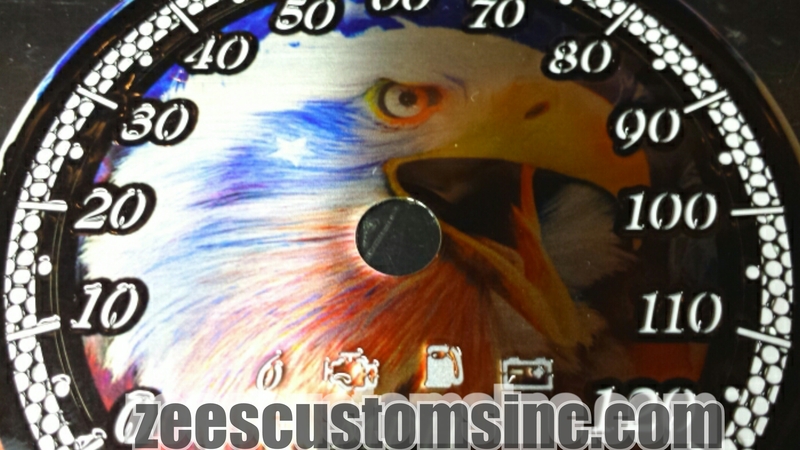 Stainless steel face: with flames, blue background, and billet bezels. 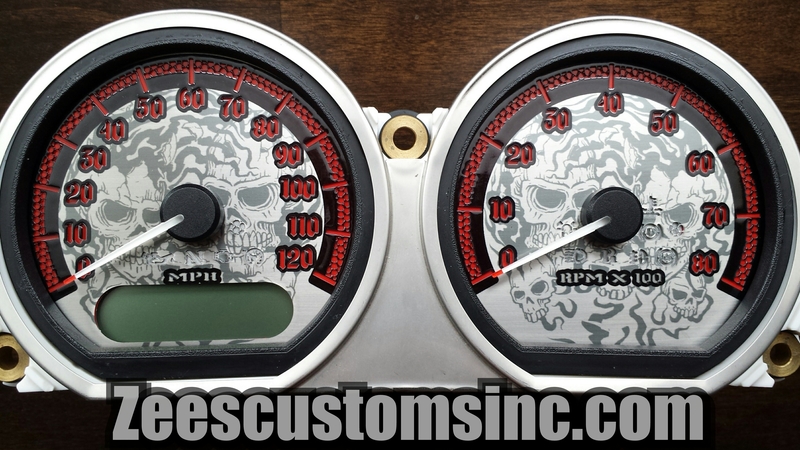 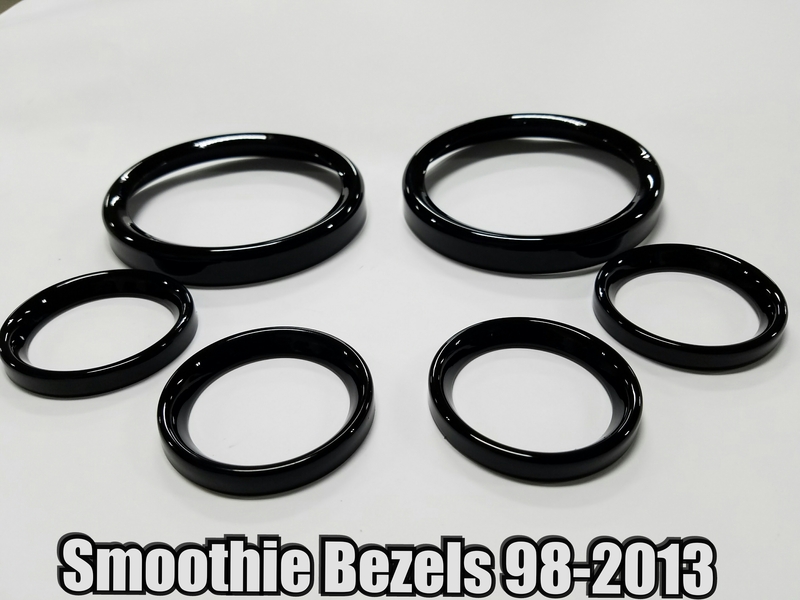 yes we do have skull faces for the 2014-15’s but we do not have any bezels. 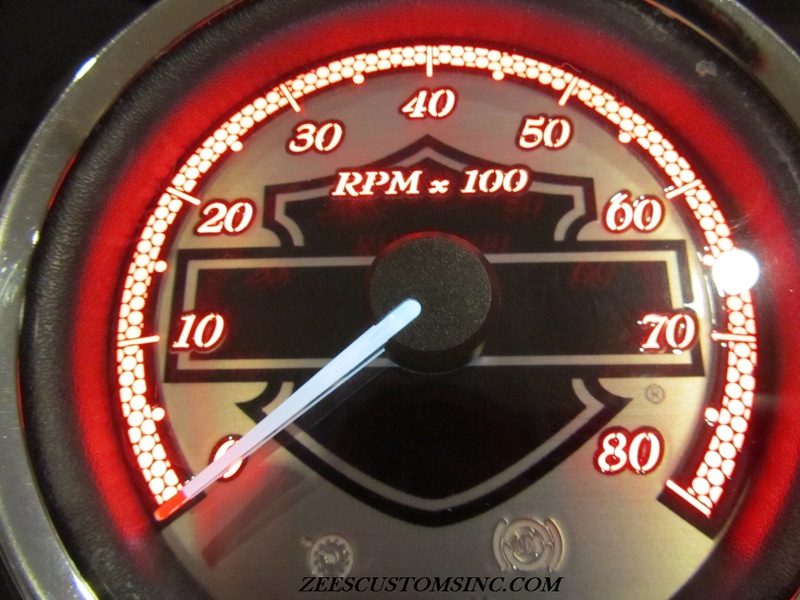 do you have the skull gauge face for 2014 streetglide ? 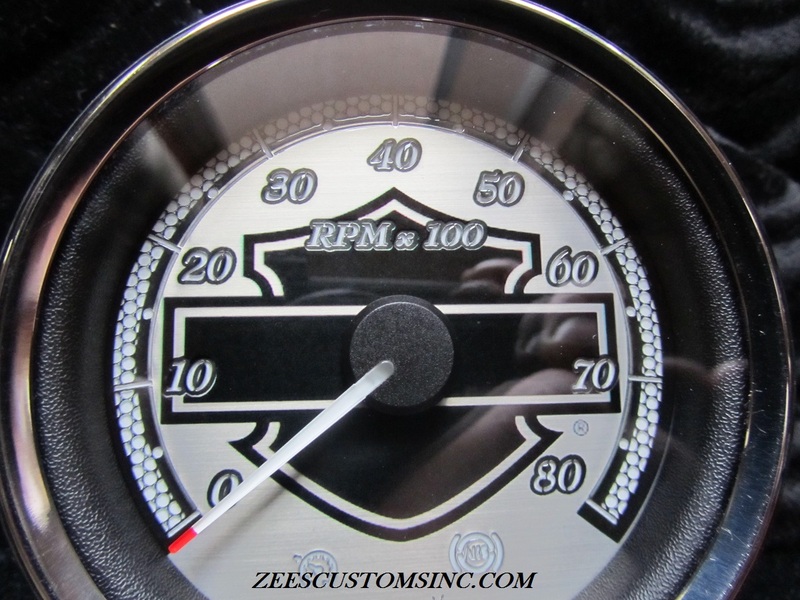 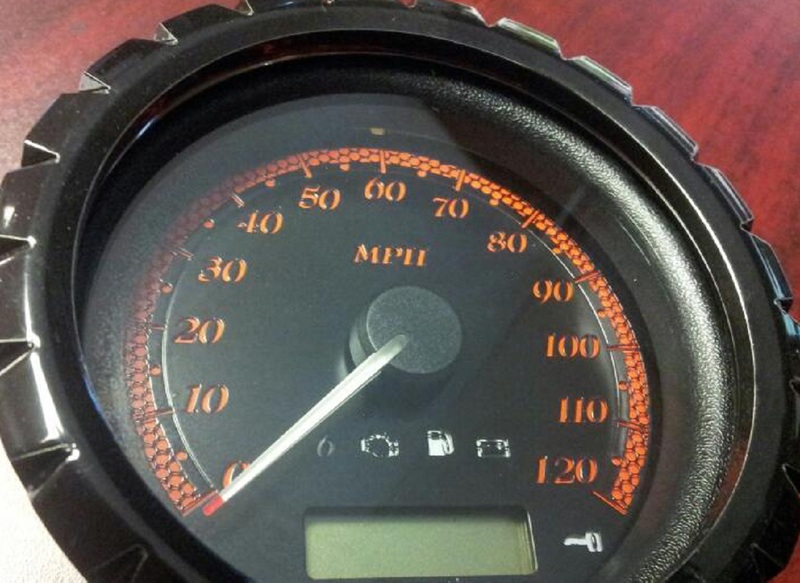 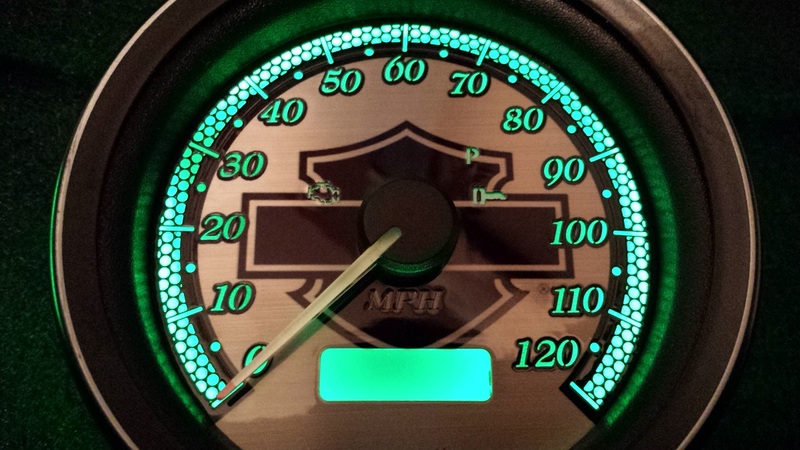 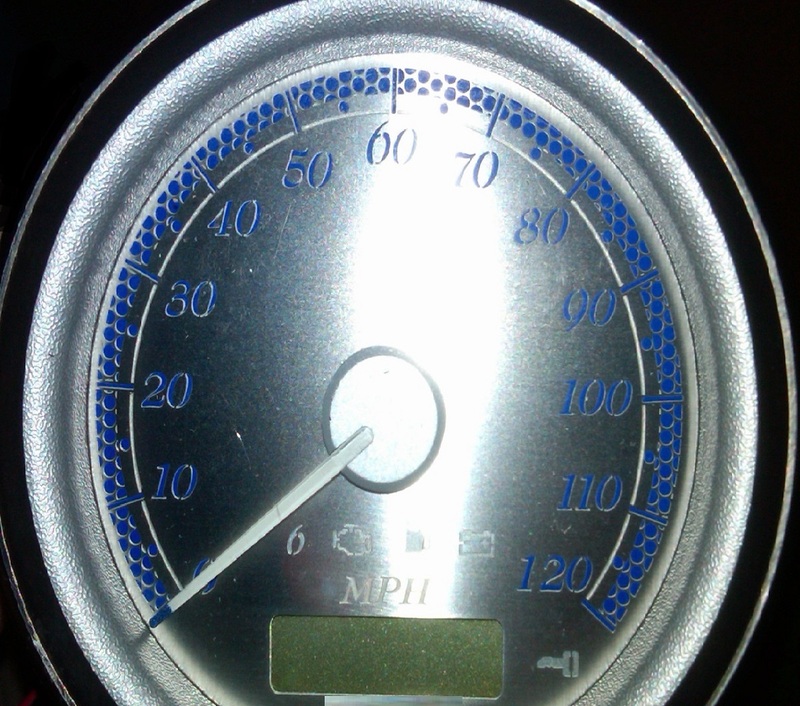 Can you do the custome gauges with the bar & shield logo on my 02 Dyna Low Rider.. Is owed & Tach ?